This is not a sponsored post and I have absolutely no affiliation with this organisation apart from thinking they are most excellent indeed. 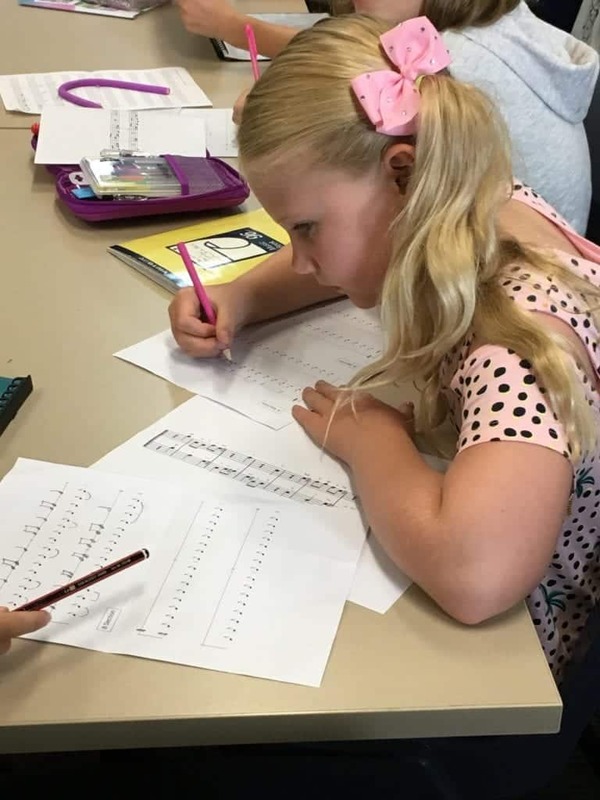 This coming January will be Pud’s fourth year of ‘giving up’ two weeks of her school holidays to participate in Summer School Music Program, run by Sound Thinking Australia headed by Dr James Cuskelly OAM*. 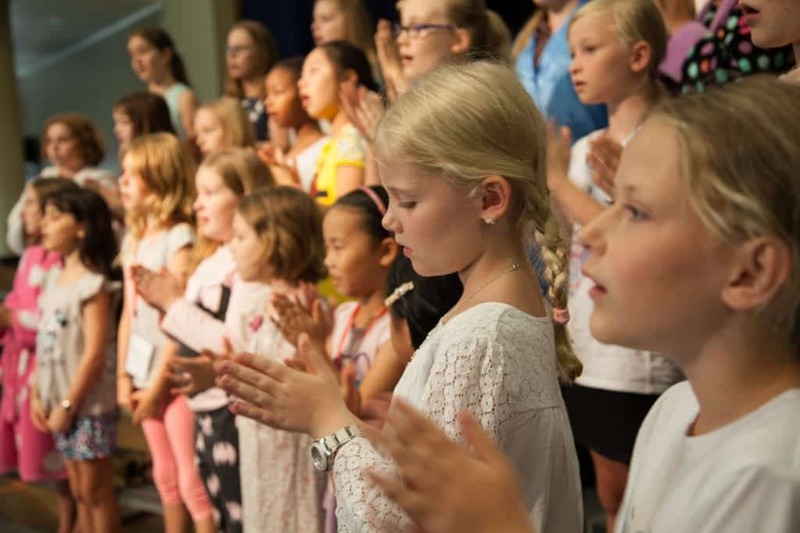 The program is aimed at people from 8 years to 80 years (literally) and is an incredibly highly regarded course which caters for children and teens, music educators and professional musicians, as well as lovers of community choirs. Several of the strands are accredited for working professionals and tertiary students. The full program is here and yes that is her front and centre on this years program…ha! In the two weeks of Summer School Music Program each year, I often see PudStar happier than I see her at any other time of the year. She is a funny little bunny (putting it mildly as I’m online and I’m told that it’s important to be discreet about your children online) and she finds most organised activities really stressful, but during Summer School she sings often, laughs easily, dances in front of anyone and pretty much floats through the two quite gruelling weeks of music education, theory classes and performances, without a single ‘I don’t want to…’ uttered. She’s no musical genius and nor do her or I care about this, she just genuinely adores being immersed in song, rhythm and music in all forms which is, to me, what Summer School seems to be about – the utter joy of immersing yourself in soulful sounds and skill building at the level you are at. Internationally renowned musicians and Kodály educators fly in from all over the world to teach for these two weeks (welcome to Australia in the height of Summer!) and the low cost and free concert program open to the public is extensive and some of the best music I’ve heard performed anywhere. Song and story go hand in hand and both are key in language development and of course story is embedded in so much of the best song writing in the world. 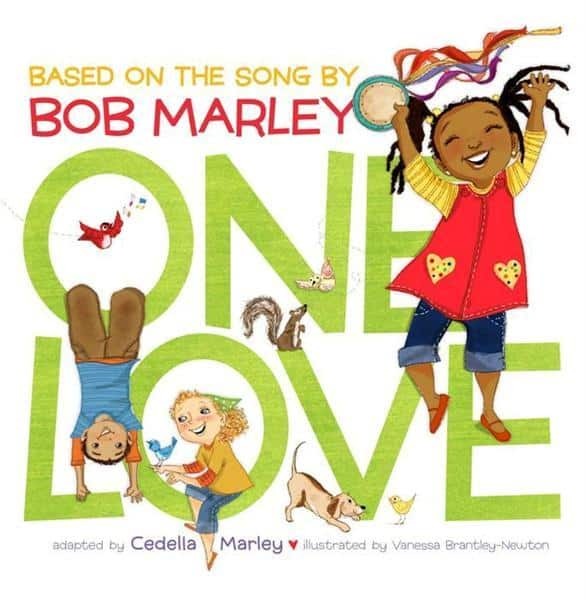 Many well-known musical types are now turning their iconic songs into children’s books (Ringo Starr, Michael Franti, Bob Marley) and many others (Madonna, Dolly Parton and Paul McCartney) are using their song/story writing skills to create picture books of note. I know January 2019 seems a while away yet, but if you are musically inclined or your children are I really do urge you to check out the Summer School Music Program. Consider a holiday in Brisbane! And if you do…can you tap me on the shoulder at one of the concerts? For programs for secondary students, tertiary students, professional musicians and interested members of the community see here. There are thousands of beautiful music themed books. Just a very, very few of my favourites are below – all MUST HAVE titles I promise. Some days are so windy that even the angels lose their balance from the top of City Hall. It’s always a day like this when The Flying Orchestra blows into town . . . Whether we’re up or down, at work or play, or just going about our day, the flying orchestra always plays for you. A multi-layered text which cleverly explores the abstract concept of music for young children. 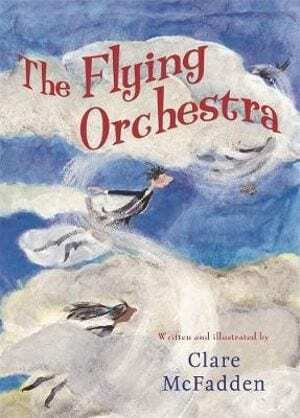 ‘The Flying Orchestra’ discusses the idea that music is all around us, telling the story of our lives. It is a work with great heart and stunning illustrations from a much-loved author and encourages both children and adults to think outside the box. No longer available in hardback, it will be out in paperback in early 2019. Recommended for readers 6 – adult. 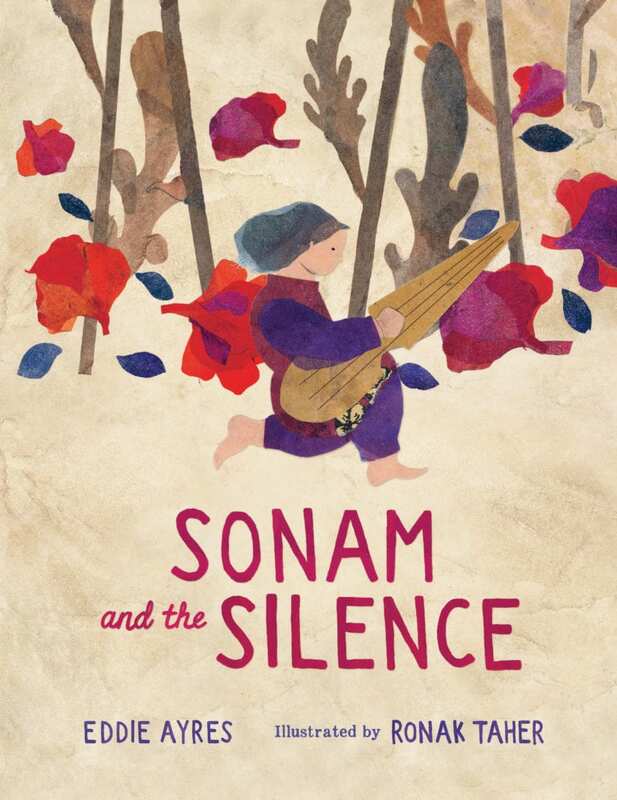 ‘Sonam and the Silence’ is a haunting fable-like story by the well-known musician and author, Eddie Ayres, about the power of music and a young girl in Kabul set during the occupation of the Taliban. In Taliban-ruled Afghanistan, Sonam’s world is dark and silent. Then one day, she follows a magical melodious sound to a walled garden, and her world is silent no more. The sound is music, and it lifts her up amongst the stars and takes her deeper than the tree roots in the earth. How can she hold on to this feeling in a world where music is forbidden? Recommended for readers 8 – adult. 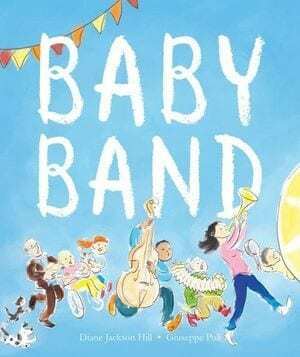 ‘Baby Band’ is a joyous celebration of community music creation! On a normal day, a baby creates mayhem in an apartment block. Diane Jacksons words express her passion for music, and its ability to bring people together in celebration. Giuseppe Poli brings to life the musical theme in the book, transforming an apartment block into a vibrant community. Recommended for readers 0-5. 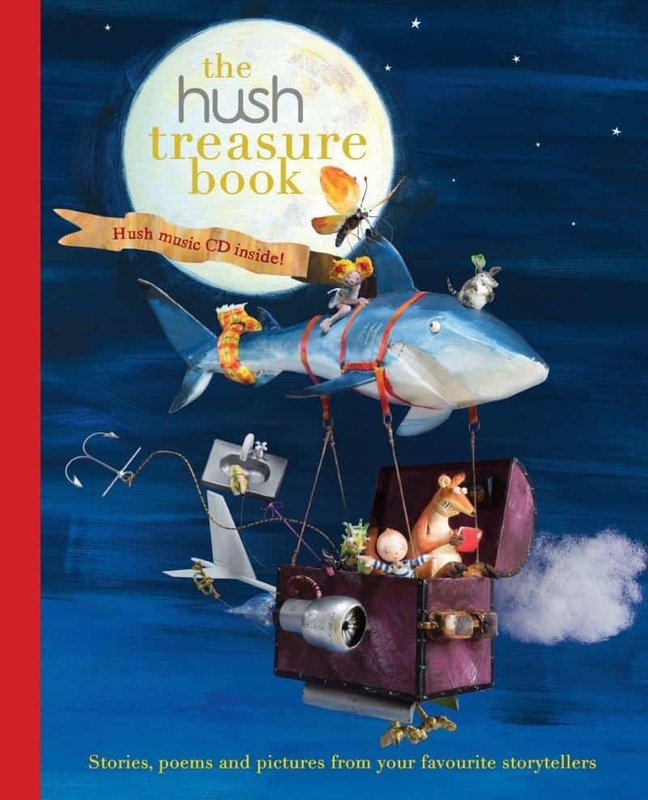 ‘The Hush Treasure Book’ is a world of magic, wonder and mystery. Created for the Hush Music Foundation, famous for its original music albums used in hospitals all around the world, this book is a glorious collection of stories, poems and pictures from thirty favourite storytellers. Recommended for readers 6 – l2. 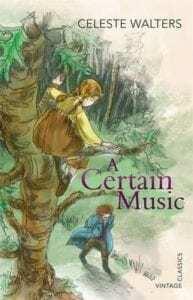 ‘A Certain Music’ is a super slim little volume but the most gorgeous story and reads like a fairytale. Set in 1823 in the Vienna Woods, a lonely young child spies an old man – a music maker. And so begins an odd friendship which develops through their mutual love of music. Recommended for readers 9 – 12. 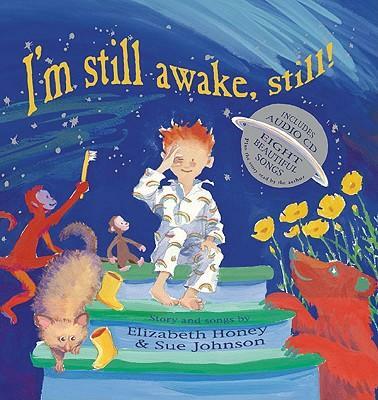 ‘I’m Still Awake Still’ contains the audio of the book being read by author/illustrator Elizabeth Honey, along with eight songs which are all so beautiful and so different that you will want to play them night after night. ‘I’m Still Awake Still’ was the soundtrack for bedtime for six or so years in our family, and I still hum the songs from this CD constantly. We also saw the musical production of this book, which was FABULOUS. My full review of this title is here – if you have little people in your life you need this book. Rave over. Recommended for readers 0 – adult. 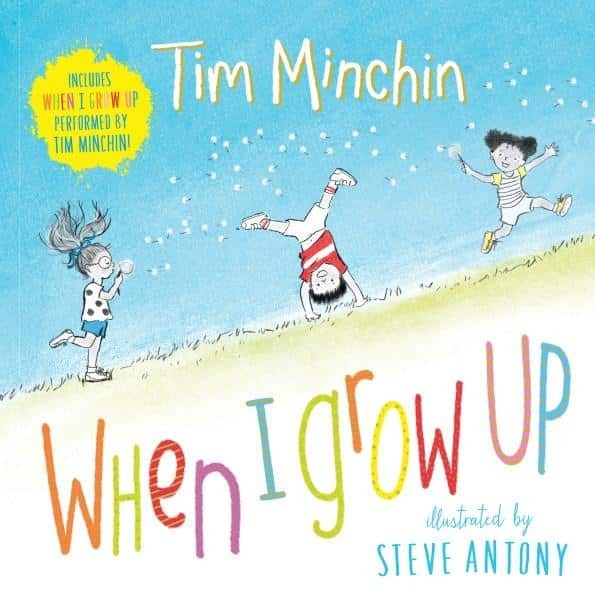 When I grow up, I will be tall enough to reach the branches That I have to reach to climb the trees You get to climb when you’re grown up… By Australia’s own award-winning lyricist Tim Minchin, illustrated by Steve Antony. Includes bonus download of a NEW recording of the song by Tim Minchin and a When I Grow Up height chart. Recommended for readers 0 – 5. 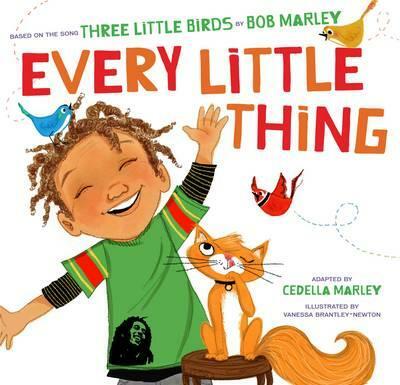 Based on the iconic songs of her father, Bob Marley, Cedelia Marley has done a fabulous job of introducing Bob Marley to a new generation – in book form and musical form – with‘One Love’ and ‘Every Little Thing’. You can read my full review of ‘One Love’ and see the book trailer here. Recommended for readers 0-5 and Bob Marley fans. 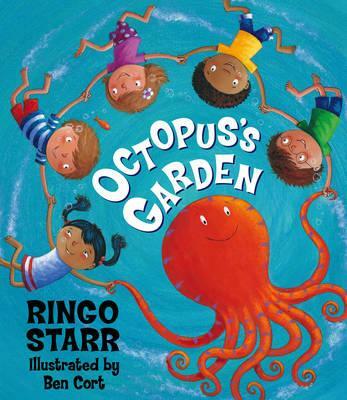 Ringo Starr has teamed up with award winning illustrator Ben Cort , of ‘Aliens Love Underpants’ fame, to introduce a new generation of readers and musicians to the joy of the Beatles famed ‘Octopus’s Garden’. The book is a visual delight with gorgeous colours and lots of underwater action, as five children go on a magical journey through the Octopus’s garden. Recommended for readers 0 – 5 and Ringo Starr fans. *Dr Cuskelly OAM is the Head of Music at the school at which I work, St Aidan’s Anglican Girls’ School, where we all rather adore him and would like to bottle his educator magic. James Cuskelly has been involved in the Australian Kodály Summer Training Programs since their inception. As President of the International Kodály Society, James is well known as a global leader in terms of the Kodály philosophy of music education. He has a deep commitment to music education and teacher training and has a distinguished track record in organising and delivering courses of the highest professional standing.